C4: The Choral Composer/Conductor Collective exists to enrich artists and audiences alike through passionate advocacy of new choral works: to perform pieces written within the last 25 years; to premiere in concert and commission new choral works; and to mentor emerging singers, composers, and conductors of today's choral music. C4 presents a wide array of choral works by veterans such as Chen Yi, Libby Larsen, Richard Rodney Bennett, Olli Kortekangas, Meredith Monk, Huang Ruo, Kaija Saariaho, Steven Stucky, George Tsontakis, and Toby Twining as well as works by emerging composers—C4 members and others. Now with 12 seasons behind it, C4 has premiered hundreds of works. C4's adventurous, award winning programming fills an important niche in the cultural life of New York, and the ensemble has proven its commitment to presenting high caliber music in a welcoming atmosphere. C4 has been honored with a 2014 Chorus America/ASCAP Award for Adventurous Programming. The awards recognize choruses that demonstrate a sustained commitment to adventurous programming through performances of choral music written in the last 25 years. See the Chorus America/ASCAP Press release here. "...their subtly attuned awareness of each others' musical movements makes their technical virtuosity seem near effortless. ... Their excellence in performance has become something their audiences can expect. It is their challenging and bracing, innovative and high-risk repertoire that continues to yield fine surprises." "A highlight was Niimi’s Concerto for Chorus (Bios)...which was given a scintillating account by 18 singers in the ensemble C4, with Timothy Brown conducting...[T]his nine-minute a cappella work for mixed chorus featured much divisi writing and complex polyrhythms that Brown and the singers transformed into exhilarating vocal pyrotechnics." "...a formidable group of singers and composers"
"They seem to revel in the challenges other choirs avoid like the plague. ... The group's dynamic is a lesson in exceeding expectations." "I’m impressed with C4: The Choral Composer/Conductor Collective's creativity in selecting themes. The repertoire selected was extremely broad and uniquely grouped." In the fall of 2005, vocalist/composer Ian David Moss brought together a group of veterans of the New York choral scene and came up with a new model that favored a more democratic way of running an ensemble. The new approach would break with the standard, autocratic Artistic Director/Conductor model in order to explore new directions for the creation and performance of choral music in a collaborative environment. January 2006 saw preparations begin for C4: The Choral Composer/Conductor Collective, and on June 9 of that year, C4 performed its first concert to a sold-out house, featuring several world premieres by member composers. The concert was selected as Time Out New York’s Don’t Miss! classical pick of the night. In June 2012, C4 realized its long-held goal of collaborating with another ensemble in "Sparks Fly: C4 in Concert with The Fireworks Ensemble." This event featured the premiere of the full length 'Requiem' by Fireworks' leader Brian Coughlin, as well as three new works by C4 composers. Another milestone in C4’s growth was reached in 2011 when the group produced its first Commissioning Competition. The competition attracted 215 submissions from composers worldwide who hoped to be among those with newly commissioned works being featured by C4 in its winter concerts. Contest adjudicators – outstanding composers, James Bassi, Clara Longstreth, and Steven Stuckey – named the first place ($2,000) and second place ($800) winners, and Honorable Mention prizes ($400). We’re pleased to have completed the second C4 Commissioning Competition during the 2014-15 season which culminated in performances of new works by the the three prize-winning composers. Judges this year were Eric Banks (of The Esoterics), James Bassi, and Aaron Jay Kernis. 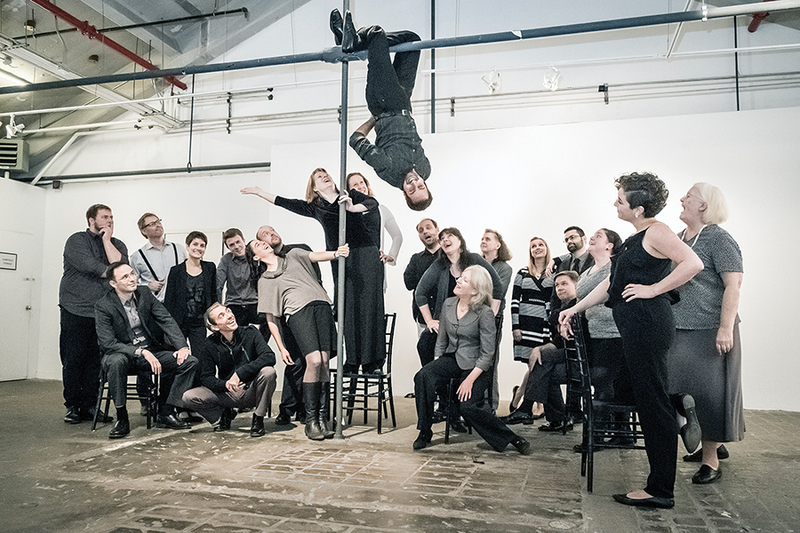 Since its inaugural concert, C4 has produced 27 more — nearly 50 total performances — at a variety of venues in New York and elsewhere, presenting works by more than 100 composers and including nearly 80 world, several US, and more than 20 east coast premieres. Press Pages, including a list of Suggested Press Questions. Please click HERE for for an all-inclusive zip-kit including Press Pages, Photos, and a Review. Please click on individual﻿ items﻿ below.